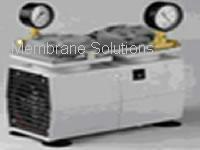 It can be in service under the condition of no working medium (no oil) and will not produce any pollution. Moreover, there is filtering material in the air exchange bin to guarantee the air clean. New technologies and materials are used in production. 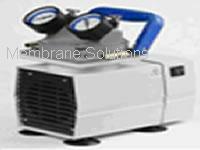 It is easy to move and can work smoothly, which can guarantee the ideal vacuum and high rate of air flowing. It adopts the operation containing no friction, producing no calories and having no friction exhausts. 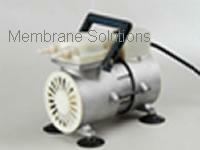 The diaphragm is made of Nitrile Rubber, which resists the corrosion and has long operating life. 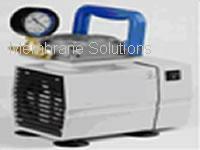 The self-cooling air draft system is designed in the body. This system can keep the machine continuously running for 24 hours. 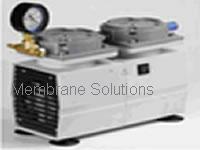 The design can be regulated by pressure to meet the requirements of vacuum or controllable steady air stream within certain range. The shipping fee for the vacuum pump each shall be $100/pcs to US, and $150/pcs for international shipping.